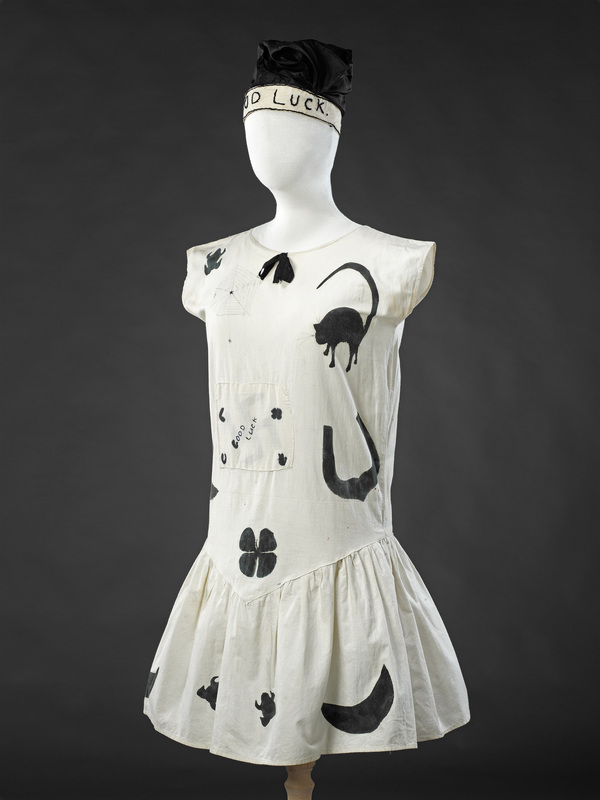 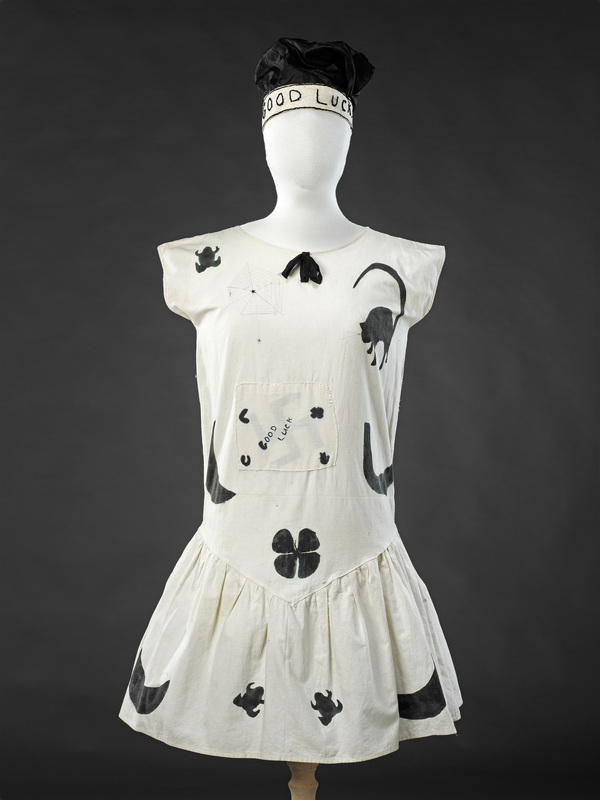 This fancy dress outfit of dress, cap and banner dates from the last years of the 1920s. 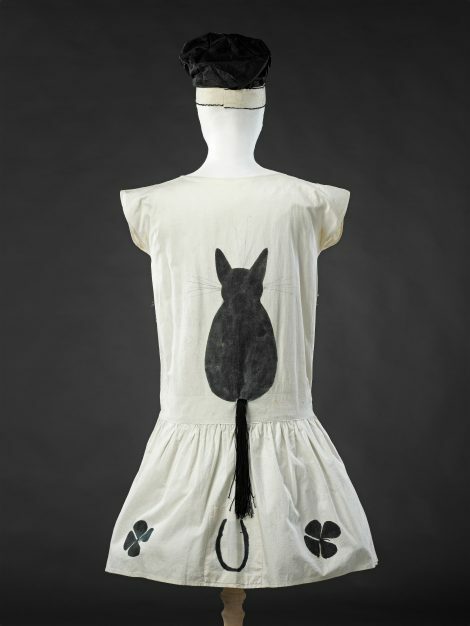 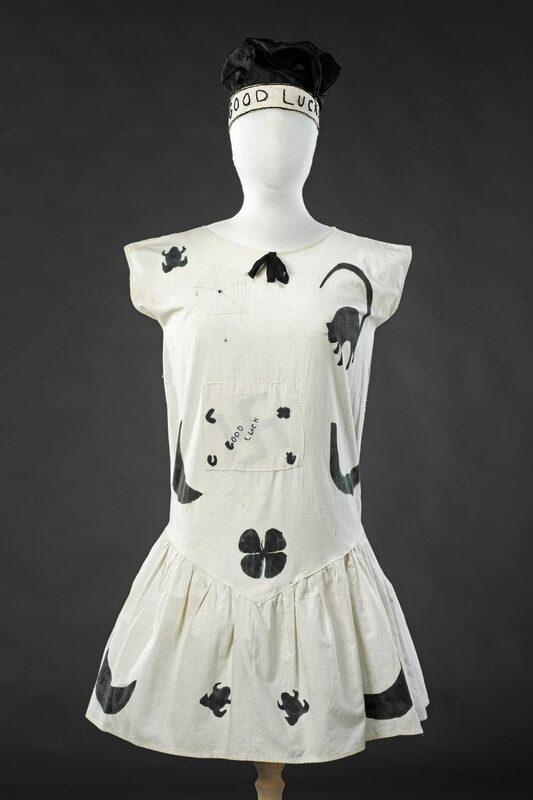 It clearly represents the theme of Good Fortune with its four- leaf clovers, horseshoes, money spiders, and a large black cat which graces the back of the bodice, its tail represented by a long tassel. 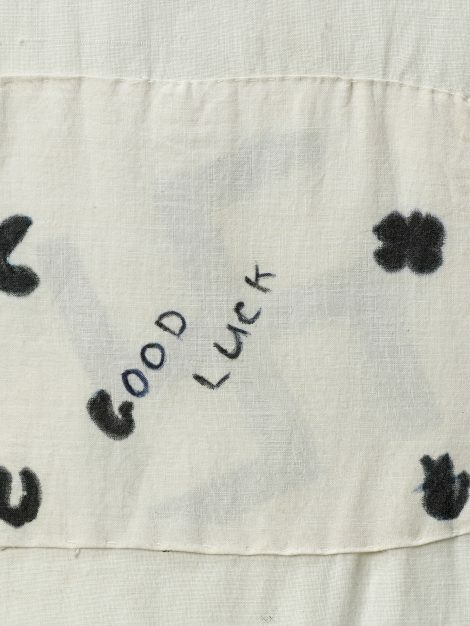 Although these motifs are roughly executed, the regularity of some, such as the clover leaves, suggests that a stencil or simple printing block may have been used. 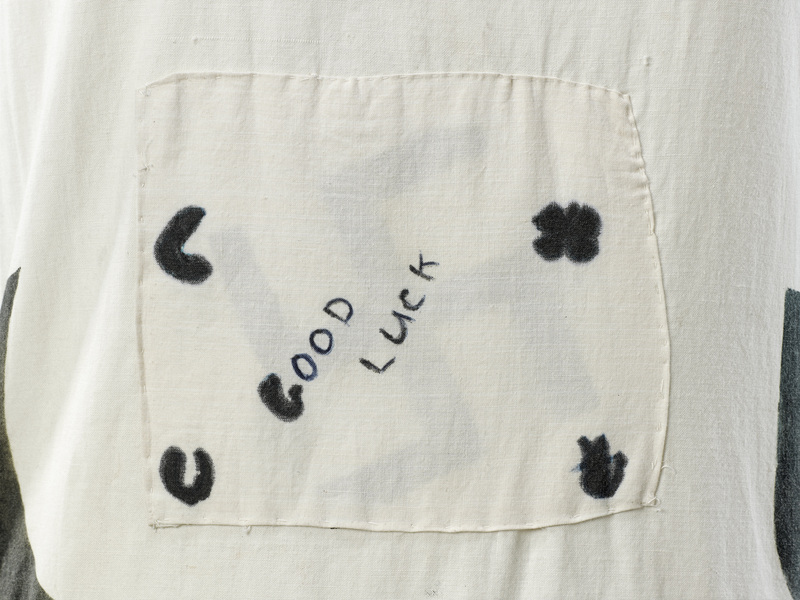 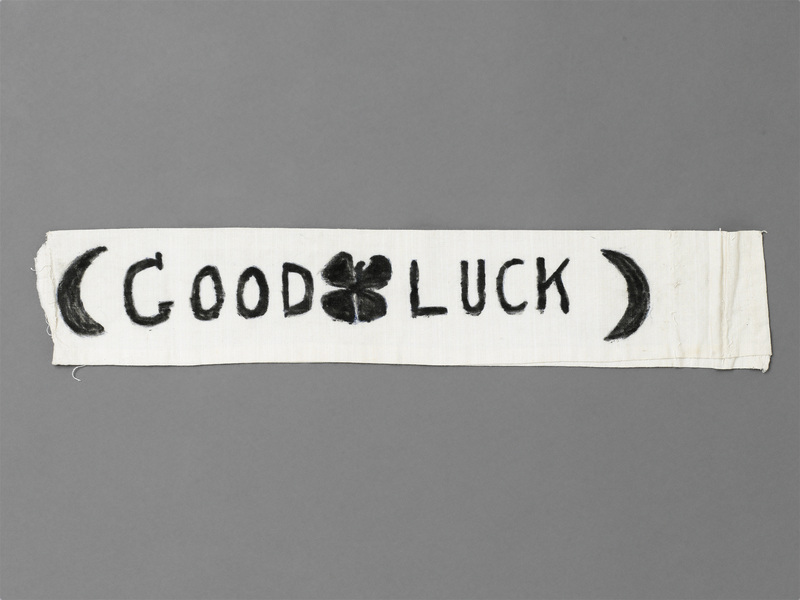 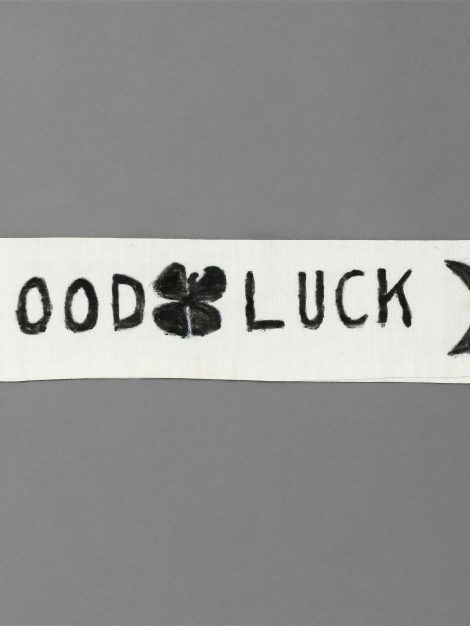 The cap is simply constructed from black silk, with the words ‘Good Luck’ crudely embroidered across the cotton band.